Help! How can I tell if my dog is in pain? 7 signs your dog is in pain. When it comes to showing pain, dogs can be quite stoic and will often try to hide or ignore the pain as much as possible. Dog behaviourists believe this is down to a survival instinct when showing pain would make them vulnerable in the pack. It is hard to believe that not so long-ago (1980’s) vets believed that animals didn’t feel pain and no pain relief was added after surgery. Today, this would be unthinkable and analgesia would be added before your pet woke up from surgery. Nevertheless, dogs do feel pain and as they can’t verbalise their feelings or may not want to, it is up to us as their guardians to be able to read the signs and help them. There are six categories that vets use to determine pain levels: vocalisation, attention to a wound, mobility, response to touch, demeanour & posture/activity. Acute pain comes on quickly as the result of an injury or trauma. Chronic pain develops slowly and could be down to a condition like arthritis or a slipped knee joint. Your dog may have developed his own coping strategies to try and make changes to his behaviour such as walking differently or hopping. This is known as ‘pain guarding’ and people do it to. Here are some common signs your dog is in pain. Reluctance to be handled or groomed. They may display growling or snapping to get you to stop. So, if your dog displays uncharacteristic aggression don’t assume he is being naughty. As an example, he may turn away his head to get you to stop touching his face if he has a sore tooth and snap at you if you persist. If you notice your dog is licking a spot excessively it could be a response to pain in the area or pain from an area that he can’t reach or ‘referred pain’. They find the licking soothing. If your dog has pain in his joints he will find it difficult to change position. He may struggle or be reluctant to rise after a rest, or jump down from a sofa. General things he would normally take in his stride. Changes in eating and drinking habits. If your dog is in pain, he may start to sleep more. He may be taking time out to heal or just finding moving too uncomfortable. So, if your dog starts to show less enthusiasm for his walks and more time asleep then check it out. He may also eat less, especially if the pain he is experiencing is dental based and his food is crunchy are hard. If your dog is experiencing stomach issues he may take up the stance of the ‘Downward Dog’ yoga posture. (Stretch and bow). This will help stretch out his belly and relieve pain. If you see your dog doing this than take him to the vet as he may have an intestinal obstruction. He also may change the way he sits or walks to keep the wait off the painful area. 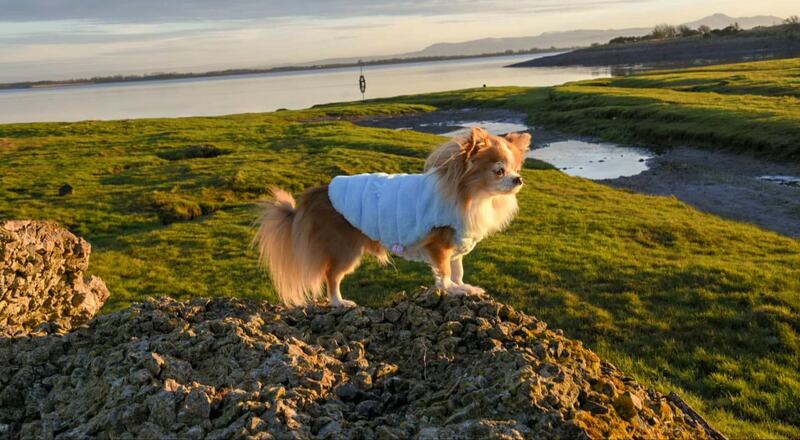 A dog with a luxating patella will lift his leg and hop from time to time as relaxing the muscle will help the knee-cap slide back into place. 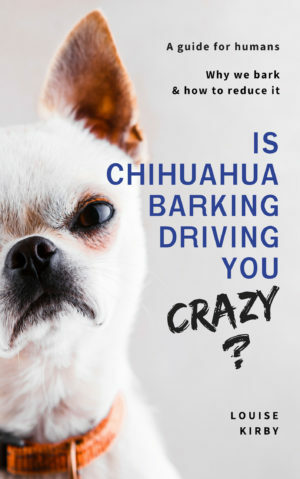 Hard to tell with your average chihuahua, but he may become more vocal. Yelping and howling may be added to his general barking repertoire. If your chihuahua can’t get comfortable he may become restless and agitated. You may see him pacing about more and unable to commit to a comfy sleeping position. No one likes to see their dog in pain and it is only natural to want to relieve it for your dog as quickly as possible. You can administer pain killers (after taking advice) but pain killers are just a mask for an underlying problem. If you dog is displaying signs of being in pain it is always best to find out what the problem is before administering any kind of medication. Previous Post Why is My Chihuahua Shivering? 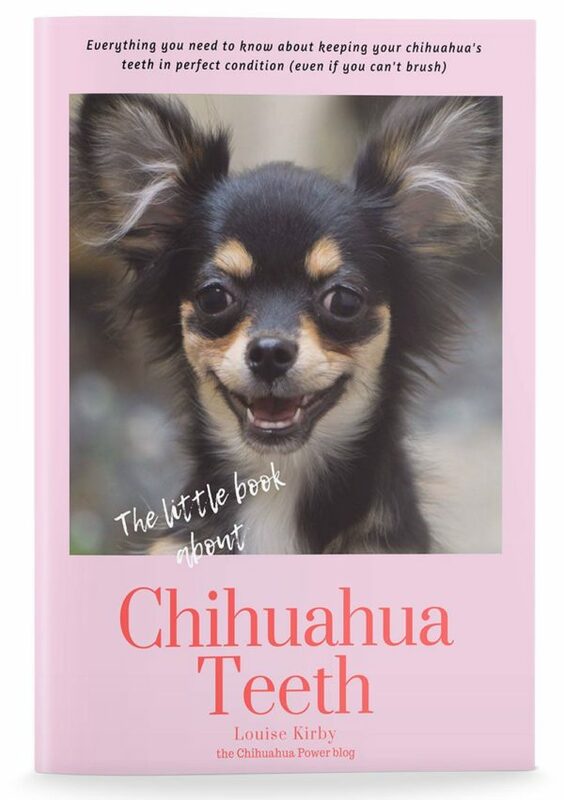 Next Post Chihuahuas and Children: Can they get along?